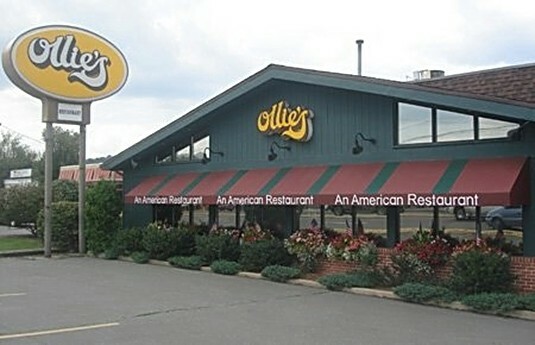 Ollie's now offers off premise buffet style catering for parties of 20 people or more, featuring the high quality food you've come to depend upon. A 50% deposit is due at the time of the order, with the balance paid in full a week before the event. Cash or Credit Card. Chicken tenderloins sautéed in garlic butter and wine sauce. Chicken tenderloins sautéed in lemon butter and wine sauce. Chicken tenderloins sautéed with mushrooms in marsala wine sauce. Chicken tenderloins sautéed with onions, peppers, mushrooms and garlic in marinara sauce. Chicken breast crusted with parmesan Italian bread crumbs, served with marinara or alfredo sauce. Fresh roasted, served with pan turkey gravy. Stuffed with our bread stuffing. Fresh roasted, served with pan pork gravy. Sliced ham topped with sweet Hawaiian sauce. Seasoned Italian sausage cooked with bell peppers in tomato based sauce. Slow roasted served in its own gravy. Sliced top round in its own juices. Tender sirloin tips simmered in olive oil, brown and burgundy sauce with onions, peppers, mushrooms and garlic. Cut ziti baked with ricotta and mozzarella cheeses. Fresh fillet of salmon with a hint of teriyaki glaze. Fish fillets fried to a golden brown. Extra salads, potatoes or vegetables are available at $1.00 per person per item. Ollie's will supply a tray of fresh baked cookies, brownies and pies.